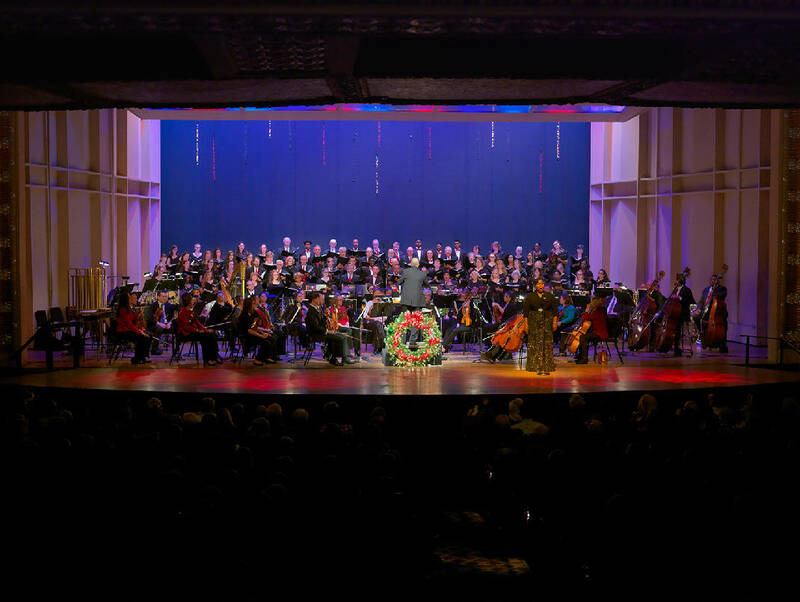 Stuart Chafetz, newly named Principal Pops Conductor of the Columbus (Ohio) Symphony, will be the guest conductor for this weekend's "Home for the Holidays" concerts presented by the Chattanooga Symphony & Opera at the Tivoli Theatre. Joining the CSO will be the Metropolitan Bells, CSO Chorus and guest soprano Dee Donasco. The popular annual shows have primarily been conducted by Music Director and Conductor Bob Bernhardt for many years, but his schedule with other symphonies around the country makes it difficult, and Maestro Kayoko Dan is largely focused on directing the CSO's symphonic works rather thanpops shows such as this, according to Executive Director Samantha Teter. "They both know Stuart and he has been great to work with so far." Chafetz previosly was resident conductor of the Milwaukee Symphony Orchestra and associate conductor of the Louisville Orchestra. As principal timpanist of the Honolulu Symphony for 20 years, he also conducted "The Nutcracker" performances with Ballet Hawaii. In summers, Chafetz spends time at Chautauqua Institution, where he conducts the Fourth of July and OPera Pops concerts with the Chautauqua Symphony. He and his wife reside near San Francisco. The format will follow past holiday shows with a focus on standard holiday music, but Chafetz will be doing many of his own arrangements, she said. The parade of holiday hits will include "Let it Snow," "Santa Claus is Coming to Town," "Little Drummer Boy," "O Holy Night" and other favorites. Photos with Santa are also part of the festivities, and the Jolly Old Elf will be visiting guests in the lobby before the show and during intermission.